improving performance by getting specific about the here & now. Why does this happen? Simply, because it is much safer and there is less accountability for the person being coached. So how do you transform these passive conversations, filled with empty outcomes, to direct conversations that create immediacy, promote accountability and ignite performance on the biggest opportunities? A simple and direct way is to improve the quality of your coaching conversations through the use of a powerful coaching model – The Model of Immediacy. 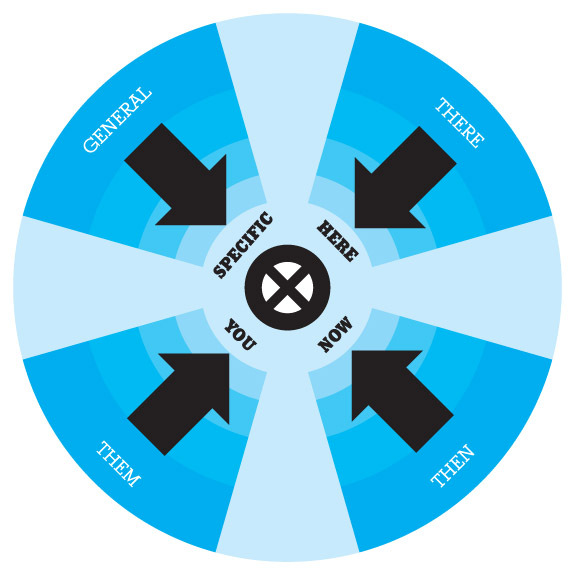 Them to YPutting The Immediacy Model to Work: Reframe and redirect the conversations. Example I – Getting into The Now: When you find the conversation drifting back in time, redirect and bring it “back into the now.” Far too much time is spent looking backward in the rear view mirror when the real focus of a “leader-coach” is to anchor their client on what is happening today. Example II – Getting Specific: When the other person uses general statements, use specifics in your questions to reframe and provide clarity. You goal is to limit “aboutism’s” that often time sound good, but don’t provide the needed clarity about the topic at hand. You need to move from a place where you think you know what someone is talking about to where you know specifically what is on their mind. When you are in a place of knowing you can coach the real issue. Your turn: How competent and confident are you in creating “immediacy” in your coaching conversations? Target the areas where you know you need to improve. (i.e. – Having a more strong active presence. The courage to provide direct feedback.) With whom do you need add immediacy to your coaching conversations? Make a plan to meet to talk to them – today, this week, this month.